University of Hawaiʻi Cancer Center studies show Native Hawaiian and African American smokers have a higher risk of acquiring lung cancer than smokers of other ethnic/racial groups. The study published in the Journal of the National Cancer Institute found that for the same amount of smoking, Native Hawaiians and African Americans have twice the risk of getting lung cancer than Japanese Americans and Latinos, with the risk of Caucasian smokers being intermediate. This new analysis of almost 5,000 cases in the Multi-ethnic Cohort Study shows major differences in the risk of lung cancer among smokers from various ethnic/racial groups. The findings also suggest that the higher risk of lung cancer for African American smokers and lower risk for Japanese American smokers are due to differences in smoking intensity (the amount of nicotine and tobacco carcinogens inhaled from each cigarette). However, the increased risk for Native Hawaiian smokers remains unexplained. In Hawaiʻi, Native Hawaiians have the highest rate of lung cancer compared to other ethnic groups. In 2016, Hawaiʻi State Department of Health statistics reported an overall smoking rate in Hawaiʻi of 14 percent; however, 27 percent of Native Hawaiians were smokers. “Native Hawaiians should particularly be advised to not start smoking or to quit if they are still smoking. We know that smoking is a major cause of lung cancer in all populations and that avoiding smoking lowers one’s risk of lung cancer substantially. Smoking causes 90 percent of all lung cancers and increases the risk of many other types of cancer and chronic conditions,” said Le Marchand. 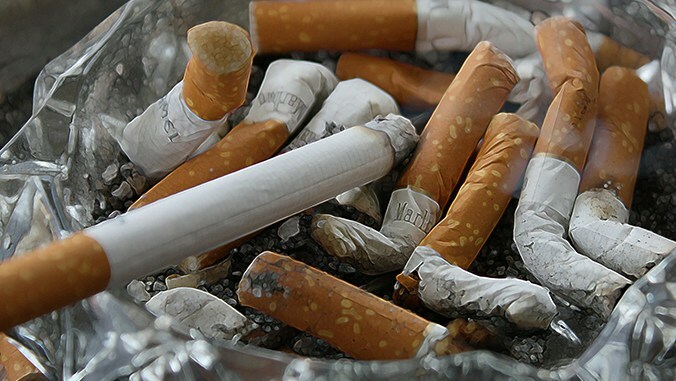 In order to understand the ethnic/racial disparities linked to lung cancer, UH Cancer Center researchers have initiated a new study and seek to recruit 300 volunteers of Japanese, Caucasian or Hawaiian ancestry who are current cigarette smokers. The objectives are to identify biomarkers in blood and urine that are associated with lung cancer risk and to improve understanding of the mechanisms underlying the risk.